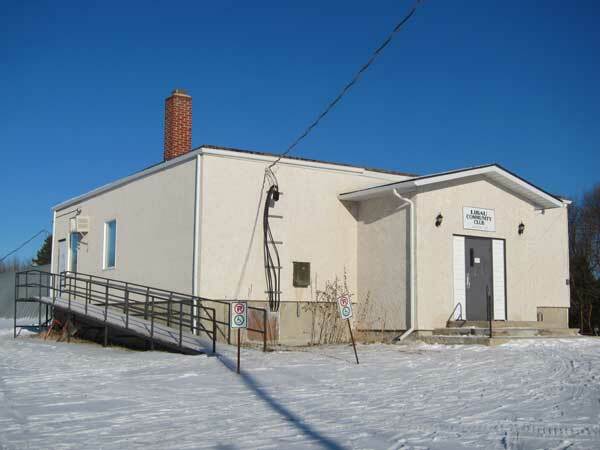 The Libau School District was formally established in March 1903 and a school building was erected in Libau, in the Rural Municipality of St. Clements. In 1952, it was replaced by the present wood frame and stucco structure. The school closed in January 1967 when jurisdiction for the area became the responsibility of the Lord Selkirk School Division. The building sat vacant for a time. 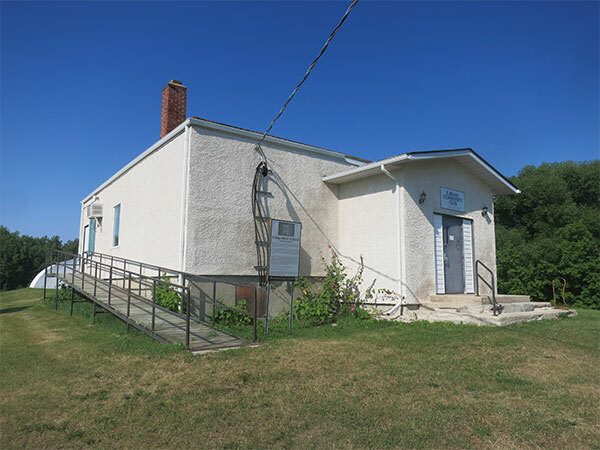 It was later renovated as a community centre. 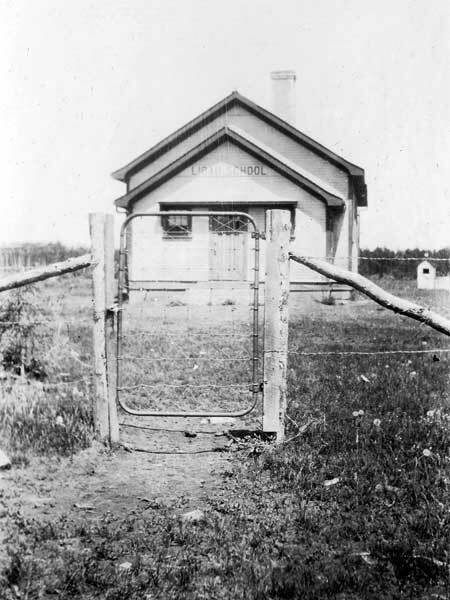 The district also operated a second schoolhouse located about two miles east of this site, referred to as Libau East School. In 2018, a commemorative sign was installed beside the former school building. The teachers of Libau School were George F. Schmidt (1905), Albert Moormans (1905-1906), Frederic Busch (1908), Fritz Brauer (1909), Jaroslaw Neywara (1910-1912), Kurt E. Mendeborn (1912-1915), Stanley E. Gunn (1916), Charles D. Smith (1916), Miss E. Gillies (1916), Mrs. Maude Brown (1916-1921), Ida Schmok (1918-1919), Martha Winger (1919-1920), Mollie D. Rosenstock (1920-1921), Bessie Knelman (1921), Rebecca Knelman (1921), Annie Drawson (1922-1923), Mrs. F. L. Storie (1922), Leah Sarritch (1922), Mrs. A. Wright (1922-1923), Rebecca Knelman (1923), Sarah Goodman (1924), L. McLanergan (1924), Mary E. Hughes (1924), Felix Sauer (1925), Edith Wasserman (1925-1926), Bertha Isenberg (1926-1927), Marie Prygroski (1927-1928), Clara Cohen (1928-1929), Margaret Agnes Gorowski (1929-1930), Elinor Adelaide Kronberg (1931-1933), Arelius Isfeld (1933-1934), Mary Helen Rutherford (1934-1935), Peter Jacob Willms (1935-1938), James Henry Dann (1938-1939), Harvey Disrael Gimsberg (1939-1940), Rudy Mehmel (1940-1941), Catherine MacLaren (1941), Patricia Wallace (1942-1943), Joseph Yatchew (1944), Rosalie Cecilia Holub (1944-1945), Anne Machewski (1946), Joe Walter Tysarski (1946-1947), Fred Klym (1947-1951), Metro Lysaichuk (1951-1952), Olga Jean Nakoneshny (1952-1953), Vera Ada Katazinski (1953), Balkaran Frederic John Siew (1952-1953), Mary Anne Nawolski (1953-1954), Anna Mae Kotello (1953), Diane Evelyn Kerney (1954), Vera Ada Katazinski (1954-1955), Wolfgang Alfred Paul Garton (1954-1955), Thaddeus C. Brune (1955-1957), Vera Ada Katazinski Helwer (1955-1958), Benjamin Koshel (1957-1958), Michael L. Balitsky (1958), Lenora Labun (1958-1959), John Oberton (1958-1960), Donna P. Bell (1959-1960), Florence Morris (1960-1962), Bonnie J. McTaggart (1960-1961), Mrs. Artha M. Anderson (1961-1963, 1964-1968), Mrs. Florence Jablonski (1962-1964), Henry Taylor (1963-1965), Meroslawa Horbas (1965-1967, 1969), Marie Patricia Chernetski (1966), Doreen E. Phill (1968), Verna Vera Wusaty (1969), Richard Arnold Dow (1969-1970), Catherine Mary Stevenson (1970), Mildred E. Heiman (1970), Cheryl Ann McKee (1971-1972), and Borden Hasiuk (1971-1972). School District Formation Files [Libau School District No. 1231], GR1688, E0027, Archives of Manitoba. School Districts of the Libau Area of Manitoba, 1887-1967 by Charlene Dusyk and Sylvia Sweetland, Winnipeg, 2017.